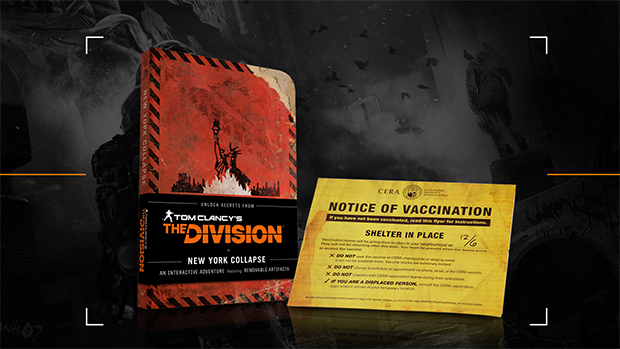 The New York Collapse Survival Guide is an in-world fictionalized companion book and meta-novel to Tom Clancy’s The Division that maybe helps you to find out more about what is actually going on in the game. The book was written by author Alex Irvine and contains seven removable artifacts, ranging from a full-city map of NYC to a used transit card. 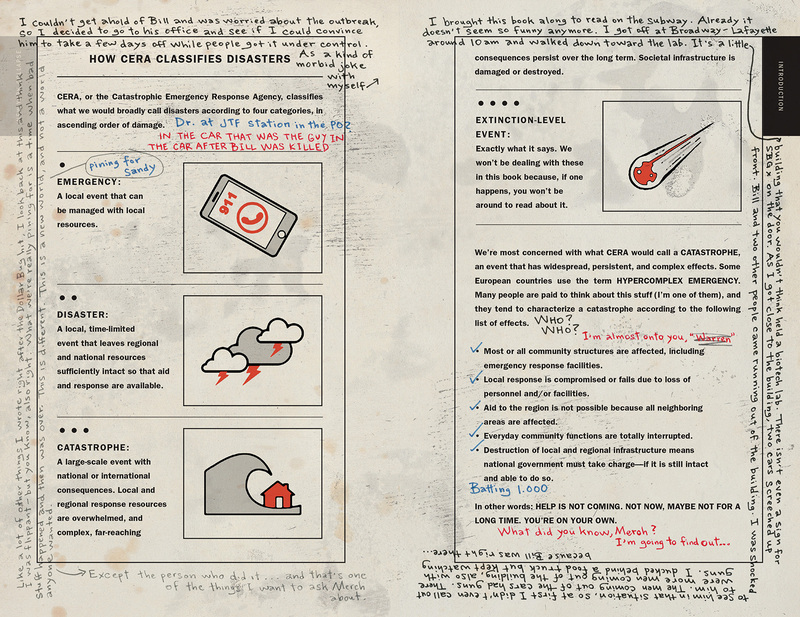 Within this discarded survivalist field guide, written before the collapse, lies a mystery— a handwritten account of a woman named April Kelleher struggling to discover why New York City fell. 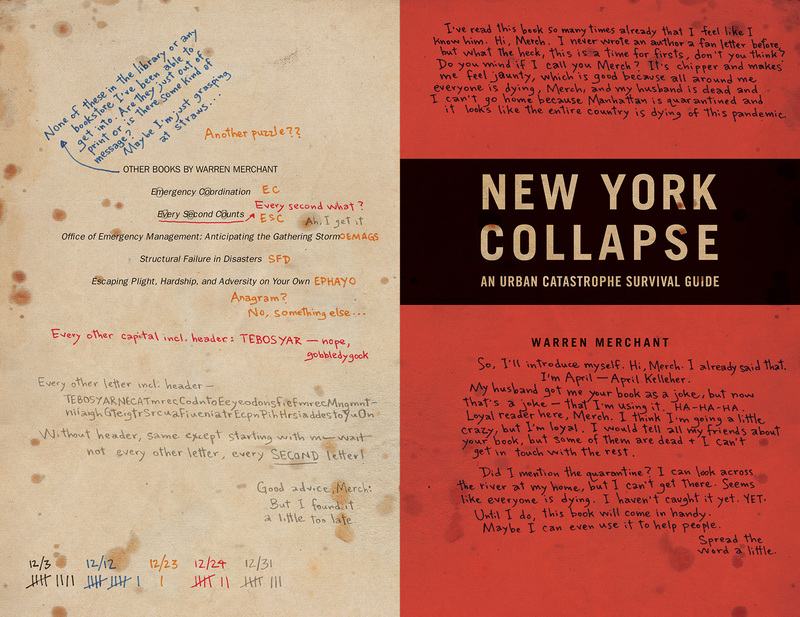 Within the margins of this real survival guide, written before the collapse, lies a mystery— the story of a woman struggling to survive and to discover why New York City fell. Retrace her steps through the city in mid-crisis and solve her clues to reveal the key secrets at the heart of Tom Clancy’s The Division. 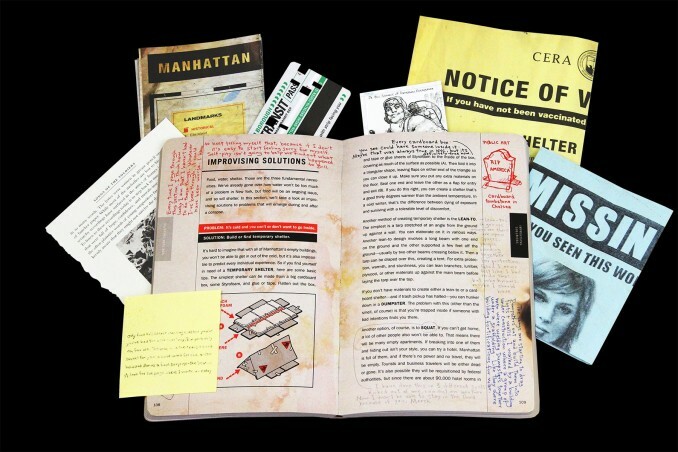 References to the book are also placed in-game and some of its pages can be collected there as well. 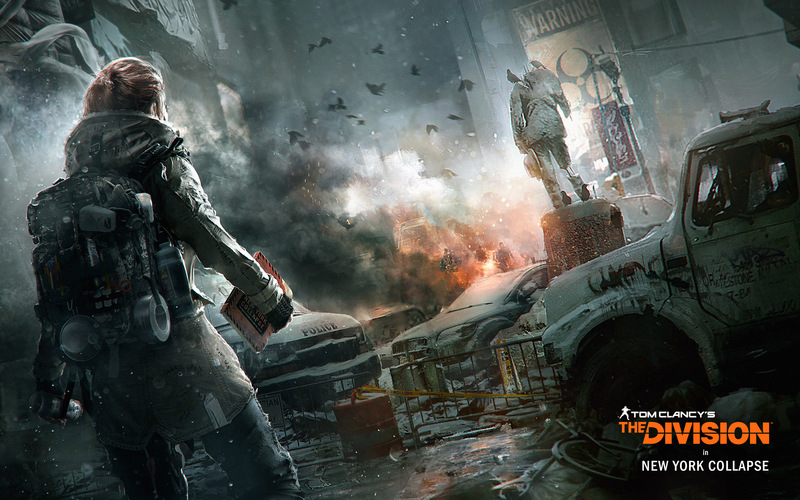 It was for example shown in the E3 2014 and 2015 trailers. 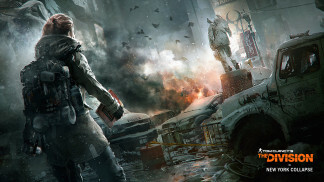 If you can’t resist to get one, you can buy it on Amazon.com. 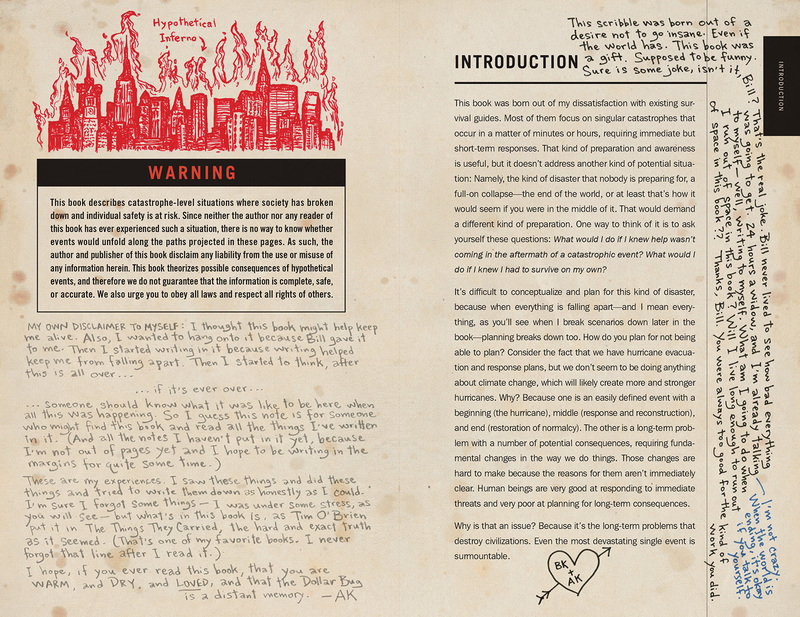 Moreover some of the pages have been already revealed to get a small glimpse of how the book is written and how detailed all the tiny notes and drawings are. 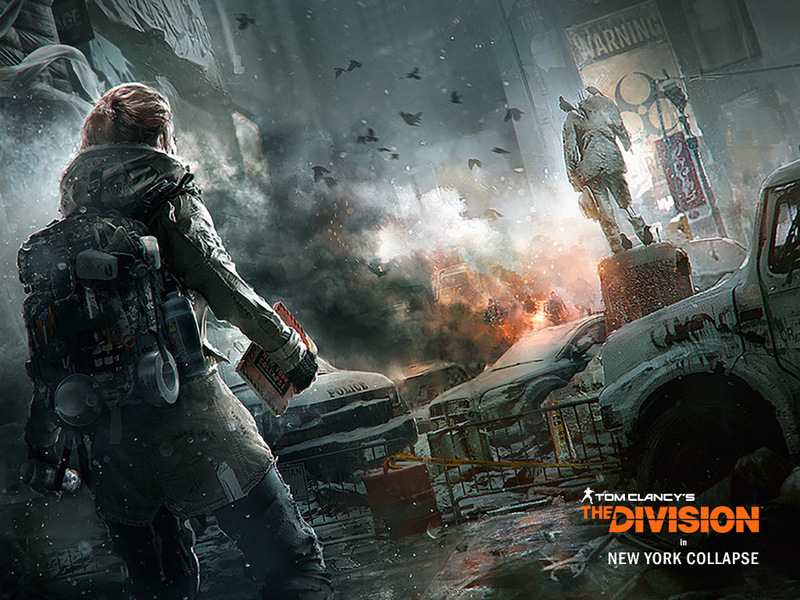 Will you be the one who retraces her steps through a destroyed urban landscape and decipher her clues to reveal the key secrets at the heart of The Division?